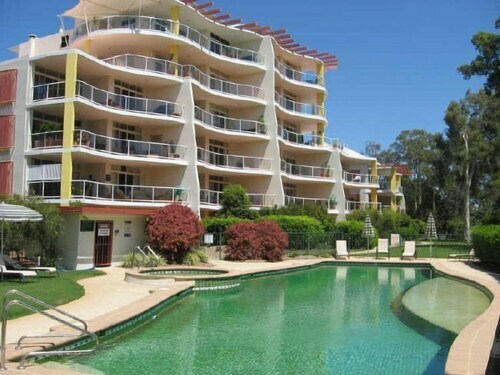 This family-friendly Twin Waters apartment building is located on a lake, within a 15-minute walk of Aqua Fun Park Twin Waters and Mudjimba Beach. 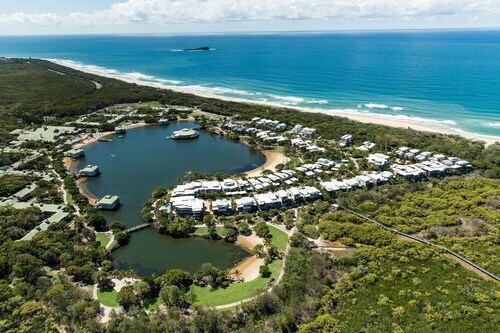 Twin Waters Golf Club and Maroochydore Beach are also within 9 mi (15 km). 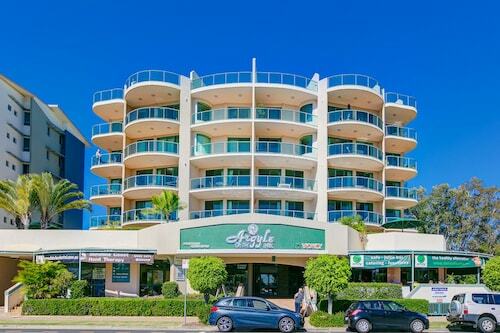 Situated in Twin Waters, this golf apartment building is within 1 mi (2 km) of Aqua Fun Park Twin Waters, Twin Waters Golf Club, and Mudjimba Beach. Marcoola Beach is 2.4 mi (3.8 km) away. Spending your holiday in Sunshine Coast? Take the time to swing through and reach the Twin Waters district, positioned 25 kilometres south of the city centre. Those on their way to Sunshine Coast will enjoy taking in the Australia Zoo. Throngs of people go to Sunshine Plaza to succumb to their passion for purchasing. The Oceans Mooloolaba and Alexandra on the Pacific are handy if you want to rest your head close by. Take a leap of faith and soar through the air like a bird at Skydive Ramblers. Look into the Sand Dunes Resort and Magnolia Lane Apartments to be within easy reach of this site. The Sebel Twin Waters should suit the needs of those travellers who are after a more fancy hotel in Twin Waters. Can't face the day without a morning coffee? You'll be relieved to know Twin Waters is home to some excellent cafes. Cafe Envy, Cotton Tree is a local favourite, offering a selection of hot drinks and sweet treats. Wondering what to do for dinner? You can't miss Ebb Waterfront Dining & Cellar. The hearty meals here will be sure to get your energy levels back up. If you wouldn't turn down a couple of cold ones before heading back to the hotel, why not stop by The Loose Goose? Who knows, the bartender may even be able to give you some tips on what you can do tommorow! Don't panic if you can't find the ideal Twin Waters hotel deal. You will find more places to get a great night's sleep in the Mudjimba hotels guide and the Wotif Sunshine Coast Airport hotels guide. Mudjimba is around 2 kilometres from Twin Waters and Sunshine Coast Airport is approximately 3 kilometres away from Twin Waters. So it is finally time to make your Twin Waters holiday plans a reality? Wotif will help you sort it out, from flights and accommodations to car hire and activities. How Much is a Hotel Room in Twin Waters? Hotels in Twin Waters start at AU$123 per night. Prices and availability subject to change. Additional terms may apply.